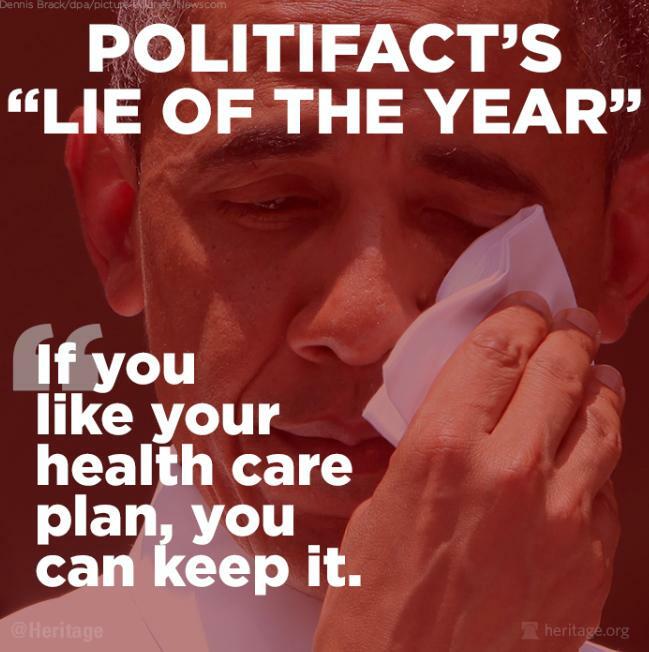 It took a lot of effort but you made liar of the year for 2013! 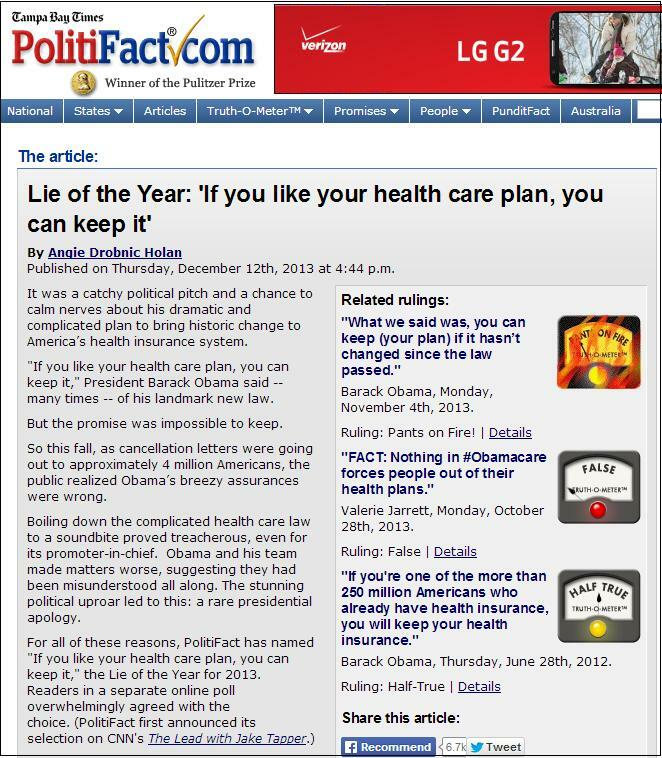 Left-leaning Politifact awarded Barack Obama with its annual “Lie of the Year” for telling Americans 36 times that they could keep their insurance once Obamacare was passed. That’s not exactly what they said back in 2008 when Barack Obama was running for president. 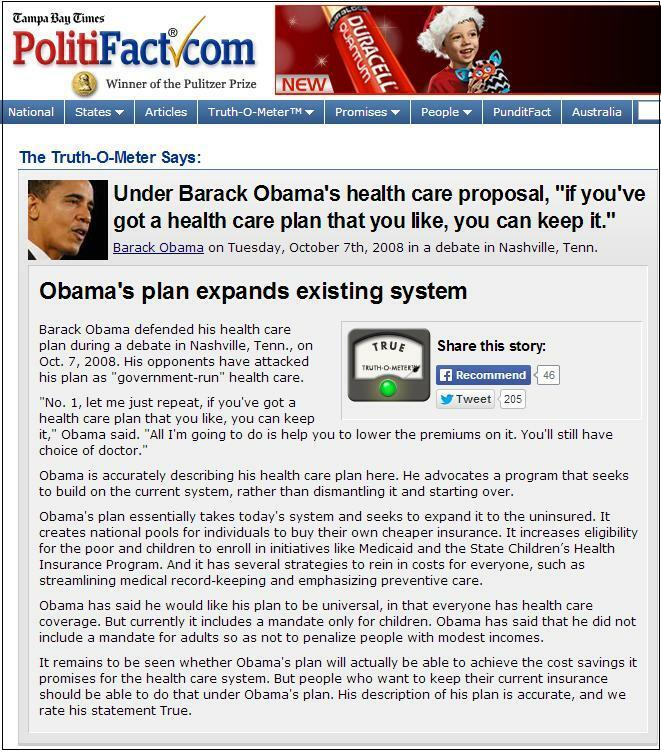 Politifact said the statement was true.